The 3-in-1 aftersun care! Silky Aftersun 3-in-1 [Rescue - Tan Maximizer - Age Repair Balm] restores skin that is exposed to UV rays and free radicals during the day. Silky Aftersun 3-in-1 [Rescue - Tan Maximizer - Age Repair Balm] restores skin that is exposed to UV rays and free radicals during the day. It offers ultimate comfort and ensures a golden brown complexion that is retained for an extra long time. The luxurious and rich nourishing moisturizer attracts nicely, is soft and the skin does not feel taut. The sun-exposed skin is optimally cared for; even wrinkles, pigmentation spots and the loss of elasticity of the skin are prevented. Apply the Silky Aftersun gently massaging to clean, dry skin after sun exposure. 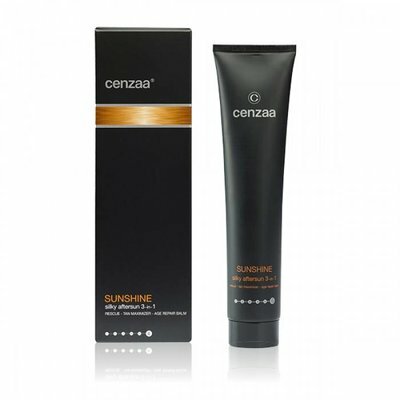 Use consistently and for at least 4 days after sunbathing. It can also serve as night care and / or mask to restore the skin well. Suitable for face and body.